Example found on 12/07/2018 09:19 AM o'clock. If you choose a different rental period, the price can deviate from the example. This offer was found on 12/07/2018 09:19 AM. The prices really are unbeatable. Renting a car for a business trip or a holiday has never been easy for most travelers. This is perhaps due the many car rental companies available and the complicated booking procedures they offer. Many at times travelers are confused between choosing the best car rental rates and quality service. Maybe you are also thinking of taking your next holiday in Regensburg, Germany, which is renowned for its ancient chapels, churches, and monasteries. You will definitely need a car to take you around the city and in the neighborhood. Think of how you will make your trip successful. To make the long journey short, just visit HAPPYCAR for a car rental price comparison. We are here for you and that’s why we have partnered with a number of car rental companies in order to give you the best rates and a variety of car rental options. Our partners include Thrifty, AutoEscape, RentalCars and many more. Regensburg is Germany’s oldest city and was founded in 179AD by the Romans. It is in the region of Bavaria to the north of Danube river and is the capital of Upper Palatinate district. The city houses two universities, a good number of landmarks, and chapels, most of which date back to the middles ages. Some of these include the Old City Hall, St. Peter’s Cathedral, and the Stone bridge. The earliest settlements in this region can be dated back to 5000BC, however the first Celtic settlement can be dated back to the first millennium BC. The Romans set up the fortress of Castra Regina at the northern bend of Danube river. This fortress served as a Roman military base for over 200 years in Raetia province. After the Romans left following the Barbarian invasion, the city was turned into a civil settlement. Once in the city, you can decide to visit other cities like Frankfurt and Prague. Frankfurt houses a wide range of historical attractions like the Romerberg featuring several buildings as well as a church that dates back to the 14th and 15th centuries. You will also come across the Eiserner Steg, which a renowned pedestrian bridge offering panoramic skyline views. Regensburg straddles a humid continental as well as an oceanic climate. Its average temperature is about 8.5 ° C relatively above the rest of Germany. It receives slightly less precipitation as compared to the rest of the region and approximately 1670 hours of sunshine annually. The city’s sausage kitchen is a major tourist hub, but locals also eat there. The kitchen was originally constructed as the main center of the stone bridge, but currently it is located adjacent to it. Obermunster church as well as the Abbey church of St. Emmeram are examples of the oldest German Churches featuring the Romanesque basilica style. When you visit the city, there are a lot of sightseeing destinations you can visit and a lot of activities to do. Therefore, you need to have a good plan in order to give each of them an equal share of attention. You can begin your trip at the preserved medieval city center, which surprising remained relatively undamaged after World War (II). This is where you will see the stone bridge and the Regensburg cathedral. Later you can head to the Old Town Hall or the Imperial Perpetual Diet Museum. Regensburg was the center of the Perpetual Diet of the Roman Empire. You will find the museum in the Old Town Hall. The museum mainly centers on the Holy Roman Empire along with its effects on Germany and the entire of Europe. For dinner or a snack, consider the Wurstkuchl restaurant, which is considered as the World oldest fast food restaurant. At the river bank, you will find a beer garden where you can enjoy sausage specialties. Do not miss the great chance to visit wonderful Munich with your rental car. For a successful vacation, consider HAPPYCAR as you book car hire Regensburg. 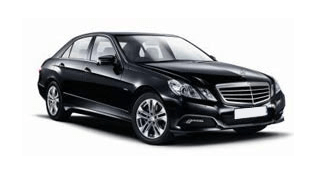 We will guide you through your booking and you will end up getting the best car rental Regensburg service while saving up to 60 % on all rental expenses. Just visit HAPPYCAR for a price comparison.